This proverb is a challenging one because of how many different ways it could be translated. As a matter of fact, practically every scholarly commentary admits the Hebrew in this proverb is difficult to interpret. That is why I am going to quote several of them before I leave my final thought for you. The Hebrew of v. 10 is almost unintelligible and thus subject to numerous interpretations, all of which are hypothetical. As the NIV has it, the verse reaffirms that one should not commit important tasks to fools (as in v. 6). Notwithstanding all the difficulties of the text, that does seem to be the main point. Much bringeth forth from itself all; But the reward and the hirer of the fool pass away. Our translation [KJV] gives this verse a different reading in the text and in the margin; and accordingly it expresses either, 1. The equity of a good God. The Master, or Lord (so Rab signifies), or, as we read it, The great God that formed all things at first, and still governs them in infinite wisdom, renders to every man according to his work. … Or, 2. The iniquity of a bad prince (so the margin reads it): A great man grieves all, and he hires the fool; he hires also the transgressors. When a wicked man gets power in his hand, by himself, and by the fools and knaves whom he employs under him, whom he hires and chooses to make use of, he grieves all who are under him and is vexatious to them. We should therefore pray for kings and all in authority, that, under them, our lives may be quiet and peaceable. So, here is what I think. Feel free to quote me 200 years from now. A man is a fool when he employs a fool to complete a task. However, the biggest fool is one who thinks God, the Almighty Archer, will miss the target when He holds the wicked accountable. H. D. M. Spence-Jones, ed., Proverbs, The Pulpit Commentary (London; New York: Funk & Wagnalls Company, 1909), 500. Duane A. Garrett, Proverbs, Ecclesiastes, Song of Songs, vol. 14, The New American Commentary (Nashville: Broadman & Holman Publishers, 1993), 213. Carl Friedrich Keil and Franz Delitzsch, Commentary on the Old Testament, vol. 6 (Peabody, MA: Hendrickson, 1996), 387. 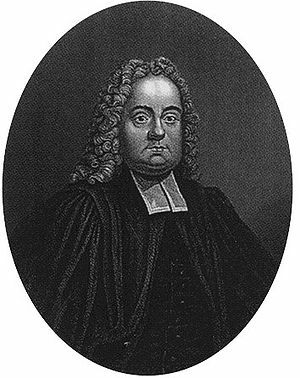 Matthew Henry, Matthew Henry’s Commentary on the Whole Bible: Complete and Unabridged in One Volume (Peabody: Hendrickson, 1994). This entry was posted on Friday, March 24th, 2017 at 12:42 pm	and tagged with B&H Publishing Group, commentary, devotionals, Franz Delitzsch, Matthew Henry, proverbs, The New American Commentary, Warnings and posted in advice, Armour and Weaponry, Fear of the Lord, Fools, Reward, The Wicked, Warnings. You can follow any responses to this entry through the RSS 2.0 feed. This post I did on Proverbial Thought is a good example of how comparing Bible translations can lead us to a deeper understanding of what is really being said. Check it out. I have a Jamaican New Testament. I read it alongside KJV and NLT when at home. It brings a whole new perspective and indeed a depth of understanding, perhaps due to the simplicity of God’s word in Patois. Yes, I’ve done that with the translation I got in South Carolina. When I read more than stylistic differences between translations, it usually turns out to be either a difficulty communicating the original meaning in English, or a textual issue like the one in your post. Good job.